For the millions of people who want spirituality without religion, Sam Harris’ new book is a guide to meditation as a rational spiritual practice informed by neuroscience and psychology. From best-selling author, neuroscientist, and "new atheist" Sam Harris, Waking Up is for the increasingly large numbers of people who follow no religion, but who suspect that Jesus, Buddha, Lao Tzu, Rumi, and the other saints and sages of history could not have all been epileptics, schizophrenics, or frauds. Throughout the book, Harris argues that there are important truths to be found in the experiences of such contemplatives - and, therefore, that there is more to understanding reality than science and secular culture generally allow. Waking Up is part seeker’s memoir and part exploration of the scientific underpinnings of spirituality. 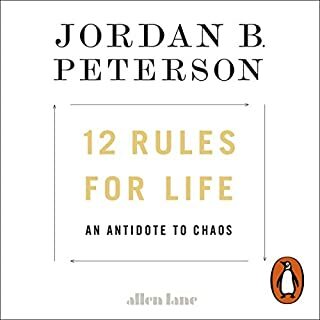 No other book marries contemplative wisdom and modern science in this way, and no author other than Sam Harris - a scientist, philosopher, and famous sceptic - could write it. Sam Harris approaches a difficult subject with his usual clarity of thought. A no nonsense introduction to, and motivation for, the practice of contemplative techniques. Recommend this highly. packed with interesting insights and things to ponder, a compelling case for making spiritual health a priority. however, the dense subject matter would work better when read, rather than an audiobook in my opinion. Great writing by a great mind. As usual Harris offers a new perspective on things, one which would have been extremely difficult to arrive by oneself. Thanks Sam, I've enjoyed it thoroughly. Simply great. A balanced, useful, contemporary synthesis of philosophy, neuroscience, and contemplative methodology. Sam Harris is possibly the most reasonable man alive. The best secular approach to meditation and mind maintenance I've come across. 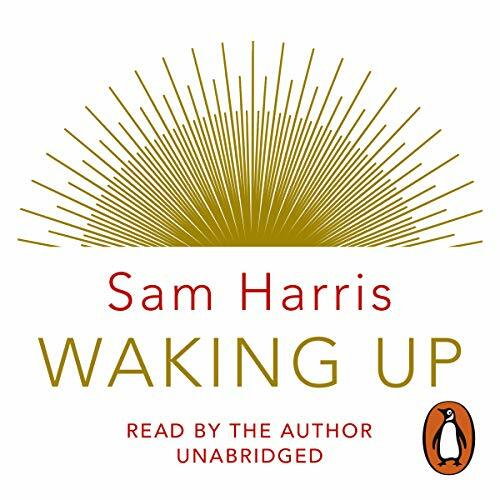 A great addition to Sam's Waking Up app, as it explains a lot of the ideas he guides you through in a way that makes me want to revisit them. I would recommend this book to anyone who is looking for spiritual fulfilment without religion. Sam Harris talks about the benefits of a contemplative life with insight and reason, identifying and cutting through the mumbo jumbo of religious doctrines. Highly recommended. A wonderful book that articulates beautifully how Sam has come to observe the relationship between mind, body, and spirit. Sam also challenges us to question the legitimacy of our ideas, and to remove those that do not benefit all humanity. Worth a second, and a third listen. 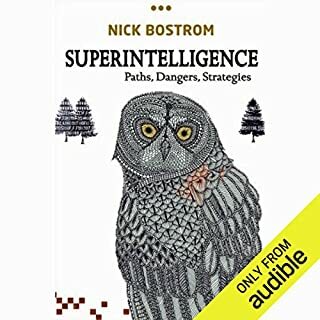 This short, but excellent audiobook was exactly right for someone like me. 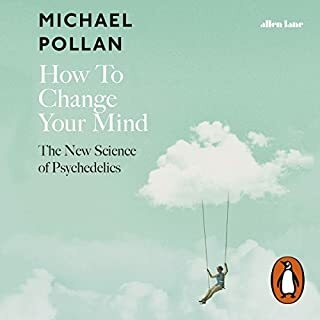 I have always been intrigued by the power of the mind, having spent a lot of years trying out lucid dreaming and dabbling in types of meditation and hypnosis. Unfortunately, a lot of times when researching said topics, you get to handle unwanted mumbo-jumbo about how the experiences are deeply religious or transcendental beyond what our minds can grasp. Sam Harris takes an entirely different approach, luckily. He starts with the mind. With consciousness, and the self. He writes about &quot;spirituality&quot; from experience and experimentation, firmly rooted in science and objective research. And that's exactly what is needed in a subject as this: someone who can approach this from both sides, and find a middle ground. The science of Zen, as it were. interesting but not that helpful. very scientificly structured which I am happy about and well researched and methodical. it does not exactly capture your mind or thoughts though. This book is well thought through and written. After practicing mindfulness for 10 years - struggling in many different ways. I now realize that my struggles were with the self of myself. Your precise instruction has allowed me to understand and experience selflessness/non duality. I now see everything differently! Thank you Sam Harris for writing this book. 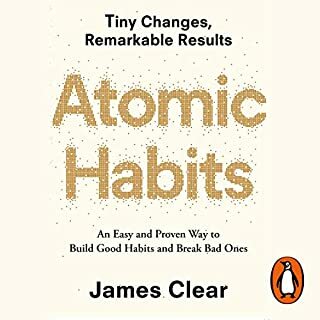 Never really thought about meditation seriously until after listening to this book. Thank you Sam. Possibly one of the most important book you can read about spirituality today. This is an ultimate journey to spirituality guided by one of the most important figure in line of scientific and spiritual/religion field. It should be a legal requirement that young adults read this book. Harris calmy tears apart the very foundation of what people think it is to experience life. Beyond the clear and eloquent discussion on spirituality from a scientific perspective, Sam Harris' discourse on consciousness is presented with the open-mindedness and scientific rigour one would expect from him. I was already on his side as it were before the listen, but also as usual there are many passages of worthy insights to take from Sam's experiences. Clear, concise, enlightening this is a must read for those becoming aware of their journey. This book is truly brilliant, Sam's idea that a spiritual life can be enjoyed in a secular way is as beneficial as it is important. I don't know if you will ever read this Sam but thank you for helping me sort through the knots in my mind and find peace. Sam makes a strong and well-argued case for a a thoroughly reasonable spirituality with his uniquely humorous sober candour. He gently nudges you in to a desire to explore..
Refreshingly free from the self aggrandisement and spiritually justified obfuscation that so often accompanies spiritual teachers, Sam Harris shines his laser-like mind onto the most intractable questions the modern spiritual seeker is likely to encounter: God, gurus, enlightenment, the self, life after death, right and wrong etc. That rarest of things, accomplished scientist and accomplished meditator, he brings a fresh perspective that, for this rather jaded spiritual seeker, is enough to dust-off the meditation stool to ‘start again’. Sams reading lends itself well to the subject matter. I'm very glad he was the one to read it. I've not looked greatly into meditation before but have had slight but not mindful interest in it. 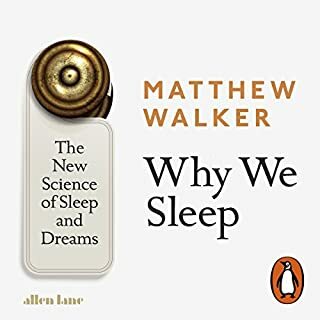 I've seen slight changes in my mood whilst enjoying this book over the past week, possibly due to a concious effort to be more mindfull of moods during my waking life. Only a couple of times did I try some nornal meditation, which was interesting though I'm unsure if I just fell asleep as I forgot where i was for a time it was just nothingness, so i think it was asleep and not actual mediation. Anyway I will continue to be mindfull and would like to thank sam Harris for his honesty and logical thinking. Not being scared off from topics that might cause most to stear away. Very much appreciated. I would say if your sceptical, its a good reason to try this book. I listened to this while reading the physical book and it was fantastic all round. Excellent - but not quite a how to do it. I'm still in the departure lounge, but maybe that was Sam Harris's aim. A great insight into the mind using Harris' own personal experiences and science alike. Always enjoy a Sam Harris work. Sam Harris has always been a favourite of mine, who has a driving need to bring logical and rationality to a subject that is most known for it lacking of. Loved the concluding chapter. Listening to Sam Harris's perspective on the need and nature of a secular consideration of spirituality was extremely positive and liberating. His style of address, the stories he chooses to tell and the stability of his arguments made this a very worthwhile and valuable experience. Sam Harris is outstanding in his capacity to seamlessly blend neuroscience, philosophy, and spirituality into a coherent whole. While rightfully critical of the 'religious' elements of spiritual traditions, Harris' task in this book is a constructive one. Harris winnows the wheat from the chaff; what we're left with is the pragmatic core of spirituality. I am truly inspired to pursue the spiritual path thanks to this book. Read it. The strategies presented in this book for meditation and the description of consciousness are the best I've ever heard and for that I can't thank you enough Sam. 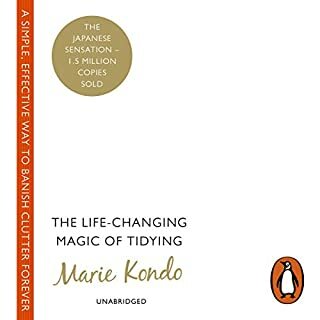 Anyone and everyone can take something from this book. A spiritual experience in it's own right. A genuinely brilliant mind, exploring the middle ground between the rigidity of religion and the flux of scientific understanding. Harris eloquently articulates what I have experienced and known to be true for many years; that there is a profoundly beautiful and transcendent alternative to blind religious observance that is accessible to us all. To the religious and atheist alike, I say you owe it to your own wellbeing and the wellbeing of those around you to read and comprehend this book. I needed a book like this. I listened to this book in one day . It was both interesting and educational. This book has got me more interested in meditation and it's benefits.